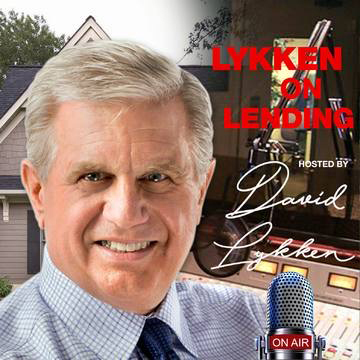 In this episode of Lykken on Lending, David interviews Jake Fehling and Adam Constantine in the Hot Topic segment about their ideas on Social Media Marketing and the impact it’s making at Movement Mortgage. 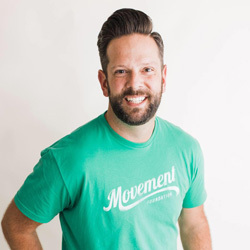 Jake is the Vice President of Marketing for Movement Mortgage. A perennial member of the Inc. 5000 list, Movement is one of the fastest growing private mortgage lenders in the country. Jake previously held the roles of Vice President, Content & Social Strategy and Vice President, Communications & Public Relations for the company. Prior to his career in the financial services industry, Jake spent four years in executive search in the life sciences, leading or assisting on multiple senior-level searches in the medical device, biotech and digital health sectors. Jake’s early career was rooted in sports business, where he led international media operations for the U.S. Olympic Committee, USA Baseball and the International Baseball Federation. He co-directed CoSport’s officially-licensed Beijing 2008 Olympic Games hospitality program and helped manage multi-million dollar sales programs for four USGA U.S. Open Championships. 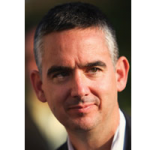 Jake is a speaker, writer and hosts multiple podcasts, including Front Office Exchange, which highlights the careers of executives in sports business. He was a recipient of a Triangle Business Journal 40 Under 40 Leadership Award in 2012. Jake and his wife, Page Crawford Fehling – host of “Good Day Charlotte” on FOX46 – team together to offer personal and professional development training to corporate partners and through area groups such as SkillPop. Graduates of the University of North Carolina – Chapel Hill, Jake and Page live with their three children in the South Charlotte-area. Adam Constantine (TYNE) is a digital content strategist at Movement Mortgage. He creates social media content and strategy to support both the corporate Movement brand and the company’s 1,500 loan officers nationwide. His weekly “Mortgage Minute” videos have become must-watch videos that make complicated mortgage terms and processes easy for borrowers to understand. Prior to Movement, Adam held a similar role at Elon University. He has also developed content and social media strategy for a variety of large brands. Adam played professional basketball in 7 different countries over 5 seasons. The first half of the program will start with a TMSpotlight Soundbite from Les Parker, a macroeconomic perspective on the economy with a music parody. Next up is Jacob Gaffney of HousingWire with the latest news affecting the mortgage industry. Then we’ll feature Joe Farr providing you a rate & market update, Alice Alvey of Union Home Mortgage providing a regulatory & legislative update followed by Allen Pollack giving us a Tech Report with the latest technology impacting our industry. Rounding out the first half of the show is Andy Schell, a/k/a “Profit Doctor” sharing ideas on how to improve your bottom line. Thank you for helping us share these podcasts with others. Listen: As a key leader in the mortgage industry, what is the marketing strategy for Movement Mortgage? Listen: We are getting funded loans as a result of our content.